Business control and direction can be dramatically improved by effective use of the integrated marketing module. 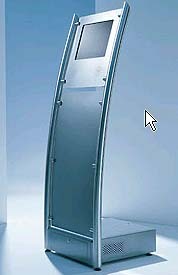 Customer satisfaction data can be collected from stand alone touch screen kiosks, customer service till points and exit polls. 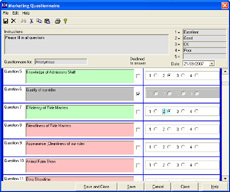 Questionaires are easy to set up using the built in screen designer. Sales and footfall data and recording external factors such as weather, holidays etc can be used to provide a powerful forecasting tool. Mail shots by email or mail to target groups identified in your marketing surveys. 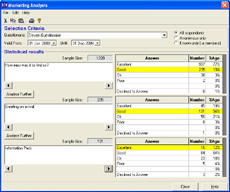 Analysis tools to collate customer responses.